Survey Anyplace provides the software to make interactive and entertaining mobile quizzes and surveys. Survey Anyplace’s engaging designs make respondents more willing to answer all of your questions, so you can get valuable feedback and improve the perception of your brand. Through careful application of game elements, incentives, and two-way communication, companies can use Survey Anyplace to not only question their users, but start a conversation. In addition to quizzes and surveys, companies use Survey Anyplace for voting, training evaluations, mystery shopping, and much more. Thanks to the responsive design, Survey Anyplace looks good on computers, tablets, and smartphones, meaning you can engage your clients at home, the point-of-sale, special events, or anywhere else. 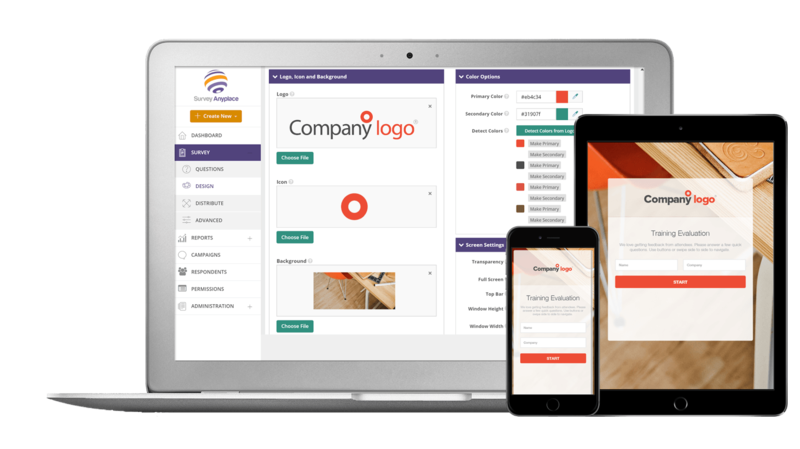 Furthermore, the Survey Anyplace software is designed as a white-label system; you can implement your corporate logos and custom design elements with just a few clicks. We recommend Survey Anyplace to any business looking to implement fun, interactive, mobile quizzes and surveys, but especially those businesses already using MailChimp for email marketing. Have questions about Survey Anyplace? Want to find out more about gamification solutions? Call, click, or email to speak with an unbiased Technology Advisor for a no-cost, no-obligation consultation on your unique requirements. Learn everything you need to know about Survey Anyplace. Our experts will reach out to you shortly.